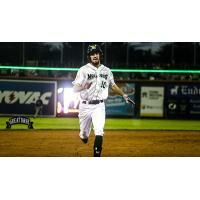 Madison, Wis. - The Madison Mallards defeated the Kalamazoo Growlers by a final score of 9-4 Tuesday night at Warner Park. With the victory, manager Donnie Scott and company improved to 1-0 to begin their 2015 Northwoods League schedule and ran their record to 6-0 in opening-night games since 2009. Anthony Gonsolin (St. Mary's College) led the charge offensively in Madison's victory, going 2-for-5 with a double and game-high four runs batted in at the plate. Gonsolin also scored twice and nabbed his first stolen base of the season in the winning effort. Cameron Frost (Washington State) chipped in with a 2-for-4 batting line and a pair of stolen bases from the No. 9 spot in Madison's order. Justin Hill (Southeastern CC) toed the rubber for his first start of the season Tuesday night against Kalamazoo, allowing two earned runs home on two hits, seven walks and three strikeouts across three full frames. Dalton D'Spain (Texas A&M Corpus Christi) pitched four innings of relief, allowing one earned run home and fanning four Kalamazoo hitters en route to the winning decision. "I thought it was a good ballgame," said Scott. "For some of these guys, it's a new experience so you're going to have some jitters here and there. Justin is going to be fine. Overall, I was really surprised with the way we swung the bat - it was good to see. There were some defensive plays that were outstanding, too. We had it all tonight." After going a collective 9-for-34 (.264) with eight walks at the plate Tuesday night, the Mallards will turn their attention toward the finale of their home-and-home series with Kalamazoo. Nate Hoffmann (Middle Tennessee State) will receive his first start of the season in Wednesday night's series cap. First pitch is scheduled for 6:35 p.m. CT at Warner Park.